Harrison Harrison and his mother are headed to Dunnsmouth, Massachusetts from California to study in depth the sea creatures his marine biologist mother obsessively follows. Ever since Harrison lost his leg in the same accident he lost his father, he hasn’t been a fan of the water, and this coastal and quirky town soon tests his limits. When he shows up to Dunnsmouth Secondary School, a temple-like structure with strange students and even stranger teachers, he realizes this is nothing like California–in fact, it seems to be an “irony-free zone” when he tries to joke with other students. Beyond references and riffs in writing, though, Gregory acknowledges the foundational stories–from Lovecraft to Coleridge the mythical fates (who work in the cafeteria), to the monomania of Ahab, he knows the canon and uses it to his advantage. Additionally, Gregory always writes strong female parts. His books contain female role models: the single mother, the strong independent aunt, the young high school leader, to the nefarious mother-figure, the woman are as various and dynamic as the men. All of the characters leap off the page into your subconscious. The Scrimshander is a scary monster (who we first met in We Are All Just Completely Fine) for many reasons but I want more books with him in it–and any other monsters Harrison runs into in the time elapsed between the two books. Friday Five: Things to do when in a writing rut! 1. Work Out. 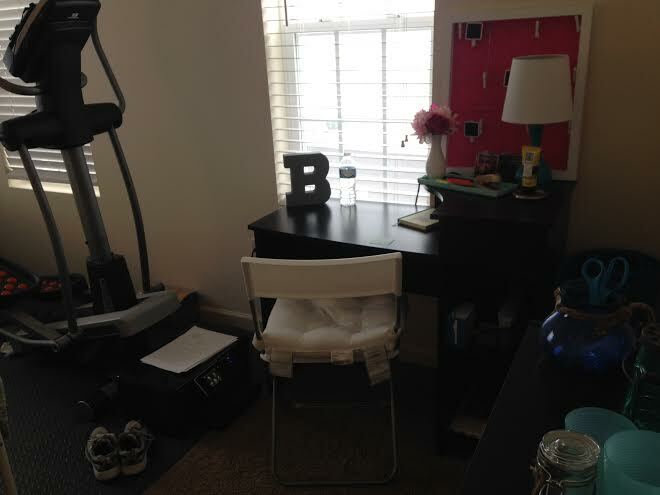 My elliptical machine, hand weights, and sneakers are in the same room as my writing desk. When I have a bit of writer’s block, I slip on my sneakers and jump on the elliptical. Even if I only get in a 15 minute workout, sometimes that’s all I need to recharge my writing battery. 2. Plan a writing lesson. Like many of you English teachers, I’m constantly revising my lessons. Sometimes when I am in a writing funk, I will revisit a lesson or research new lessons. This can even spur writing inspiration for my own work! 3. 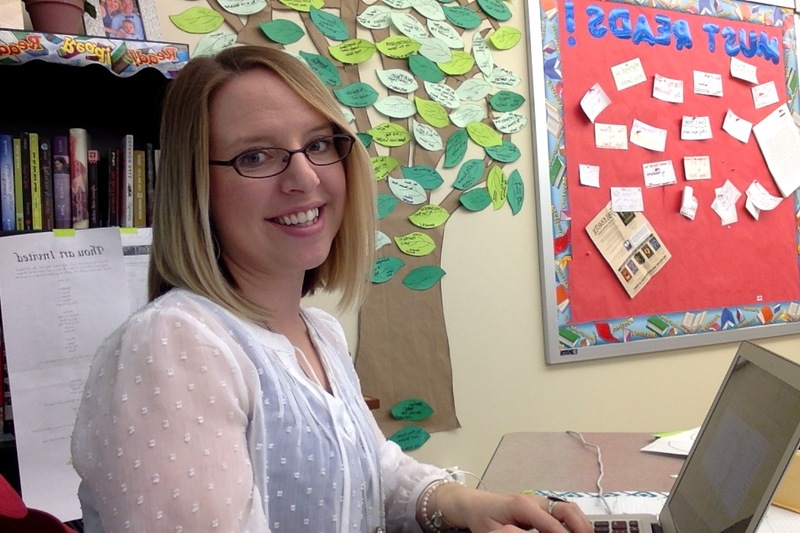 Collaborate with other writers/teachers. I recently joined a children’s book critique group in my area. We meet each month and discuss our works. When I’m in a writing rut, I like to visit our dropbox and read pieces of their works. I’ll jot down feedback and reflect upon their pages. Sometimes seeing a flaw in another’s work helps me recognize some in my own – so back to writing I go! 4. Read. As you’ve heard over and over, writers read. I get inspired by the works of others, and sometimes reading someone else’s words is all I need to get motivated. 5. Write. Although this may seem counterintuitive, I keep writing when in a writing rut! If I’m working on a YA novel, I’ll jump down to my picture book file and work on one of those. I don’t stop writing, cold turkey, for days on end, because the best way to improve any craft is to practice. So I keep on writin’ on! Ever After High is an enchanted boarding school for the children of popular fairy-tale characters. These children are the next Prince Charmings, Snow Whites, and Evil Queens. The book is told from the point-of-view of Apple White (can you guess who her mother is?!) and Raven Queen. Destined to be an Evil Queen, Raven Queen doesn’t want to follow the evil footsteps of her mother, especially after she and Apple White become friends. Can their friendship survive the fact that Raven Queen is destined to poison sweet Apple?! What a fun play on fairy tales. I’ve been a fan of Shannon Hale ever since her Princess Academy book released years ago. As soon as I saw the release of this fun, fresh series, I had to pick up the first book! And I’m glad that I did. Hale does a great job of putting a contemporary spin on the classic tales. Raven Queen packs her bag with a song blasting from her MirrorPod! In another scene Apple’s MirrorPhone plays a measure of One Reflection’s single “You Don’t Know You’re Charming.” How clever?! And Hale continues to have this playful play on words throughout the entire book! With many more books in the series, I can’t wait to keep reading! And I was so excited to hear that author Suzanne Selfors (another one of my favorites!) is contributing to the Ever After High series as well. 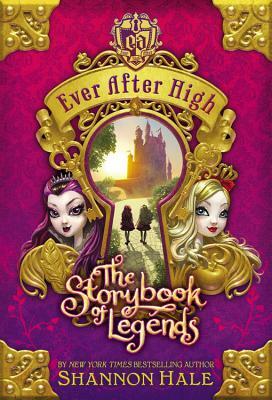 Ever After High: Next Top Villain (A School Story), Kiss and Spell, and A Semi-Charming Kind of Life are some of the newest books penned by Suzanne! As I started my unit on Shakespeare’s Romeo and Juliet, I decided to revisit Selfors’s fun, modern take of the classic romantic play. In Saving Juliet, Mimi Wallingford, the daughter of famous Wallingford actors, is cast as the role of Juliet; however, after a terrible bought of stage fright, Mimi is transported to Shakespeare’s Verona where she befriends the real Juliet Capulet! Of course her “Romeo” also follows her to the past. 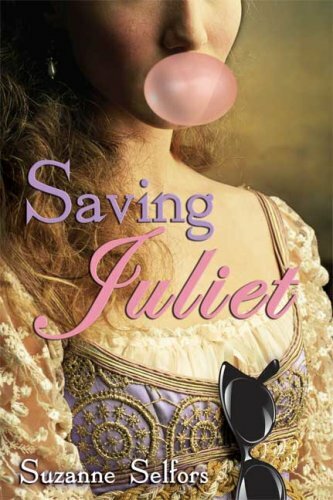 Can they save the “real” Juliet from her tragic ending? I’ve been a fan of Suzanne Selfors ever since I read her novel Coffeehouse Angel (although Saving Juliet was published first). As many know, I am a HUGE Shakespeare nerd, so I was super excited to see a contemporary novel featuring him and his play! I love the way Selfors portrays some of the popular roles – Tybalt, Benvolio, Mercutio, Romeo, Juliet, etc. And readers will be surprised to see who Mimi falls for! I not only loved her characters, but the pacing and humor of the novel was right on par. For a fun, light take on Shakespeare’s most famous play, check out this book! Or at least recommend it to students! 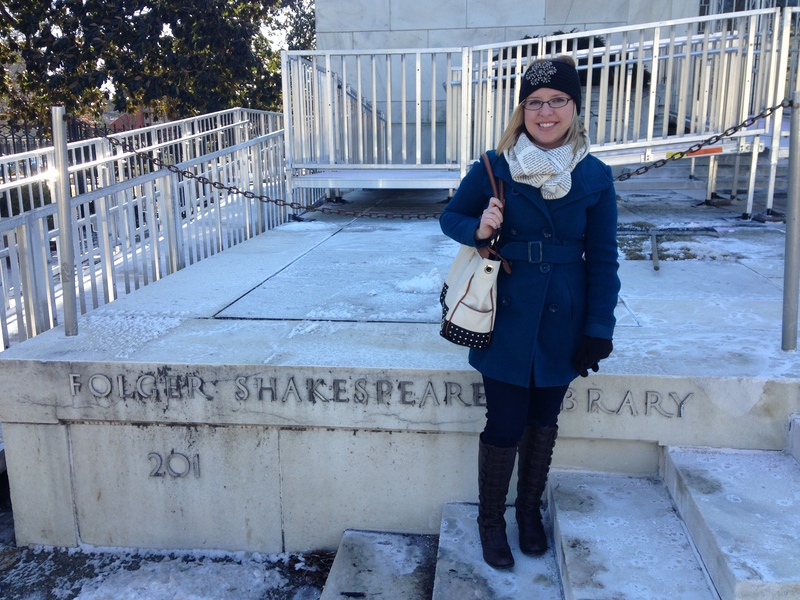 A few weeks ago my husband and I took a trip to the Folger Shakespeare Library in Washington D.C. The library was featuring an exhibit called Decoding the Renaissance – 500 Years of Codes and Ciphers. Being a total Renaissance/Shakespeare nerd, I HAD to visit. Despite the frigid temperatures in D.C. that Sunday (it was that day with a negative 12 degree wind chill), we had an amazing time. Although I could give over a dozen reasons to visit the Library, I’ve listed my top 5 below! The exhibits. The Decoding the Renaissance exhibit featured the use of secret messages in war, diplomacy, and spy craft over the last hundreds of years. Although that exhibit left on February 26, the Library is now featuring the Ships, Clocks & Stars: The Quest for Longitude exhibit. Check it out! The Collection. Not only does the Library possess 82 of the First Folio of 1623 (AHH!!! ), but they also have Thomas More’s Utopia in original Latin, costumes worn by past theater stars, promptbooks that record classic staging of Shakespeare’s plays, thousands of illustrations of Shakespeare’s plays, 13th Century manuscripts, more than 200 early quartos of Shakespeare plays, and original works of art of Queen Elizabeth I! The Library tour. While there, my husband and I had an awesome tour of the Library (unfortunately on a Sunday, the reading room was closed that day), and our tour guide was very knowledgeable of all-things Shakespeare and of the Elizabethan Era. Although I know quite a bit about the Bard and his works, I left the tour with even more knowledge. Family Programs. The Folger Shakespeare Library offers programs for all ages and encourages families to experience Shakespeare’s language together! On Shake Up Your Saturdays, children and families are invited to participate in learning about Shakespeare’s language and works. Coming up in April, they are having a Have Fun with Hamlet! Event. Also in April are Shakespeare’s birthday/deathday events. I definitely want to check them out! Free Admission. And best of all, you can experience all this Shakespeare awesomeness for FREE. That’s right – FREE! This novel takes us through a variety of interconnected narrators over multiple continents and several decades. Initially and ultimately, it seems to revolve around Sasha, a young woman who works as an assistant to a record executive, but the stories woven around and through her all seem interconnected in the way a mosaic does–there’s a larger picture when you step back and take in all the smaller pieces. The only difference here is the mosaic isn’t just visual, it is also audio, since the book focuses on the music industry. There was only one issue I had with the book, and that was the projected future at the end–this was written in 2010, and five years later, the text talk at the end everyone seems to use is annoying. As my students remind me, nobody actually texts R for are and U for you unless they are trying to imitate teenagers–except teenagers have smartphones and autocorrect (thank goodness for the English language and spelling). The novel seems to end on a high note (haha, pun intended) with an epic concert and a denouement via presentations of a young woman using the software as a journal for her daily interactions with her family. The affordances these slides have visually are stunning and I thought it was an innovative way to examine the impact all the former stories had on one character’s life. I was lucky enough to meet Mr. Sullenberger at Oshkosh Wisconsin. At EAA the biggest air show/event in the world. He also signed my edition of the book. So I decided to read Highest Duty: My Search For What Really Matters since I meet him. 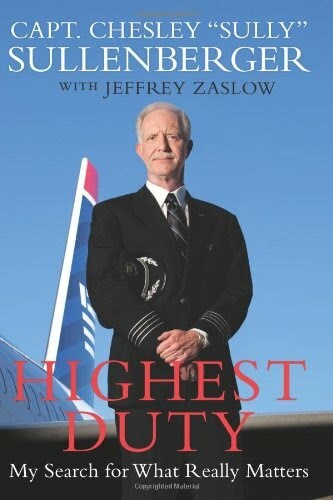 Aviation Pilot Chesley Sully Sullenberger takes you back to his childhood where he first found his love for flying. He tells you about his journey through life from the small town in Texas to joining the Air Force Academy to being a Commercial Pilot. He tells about the events leading up to January 15, 2009 that prepare him to be successful on that day. Then he allows you to relive that day that he had to make an emergency landing on the Hudson. The day that the world found out his name. The book is well written. During many events that Sully recounts it just gives you chills from his first four minute fly by himself, to landing on the Hudson. Sully is very aware that he was not fully responsible for saving all of the 155 passengers and crew. He gives much credit to his crew and co-pilot and applauds the ferries that arrived quickly because without all the help he received many people would have lost their lives. I would recommend this book to all Americans to here about a true American hero. This was one of the better books I have read recently and would put up there beside Unbroken. Today’s post is by Taylor, a junior at State College Area High School.